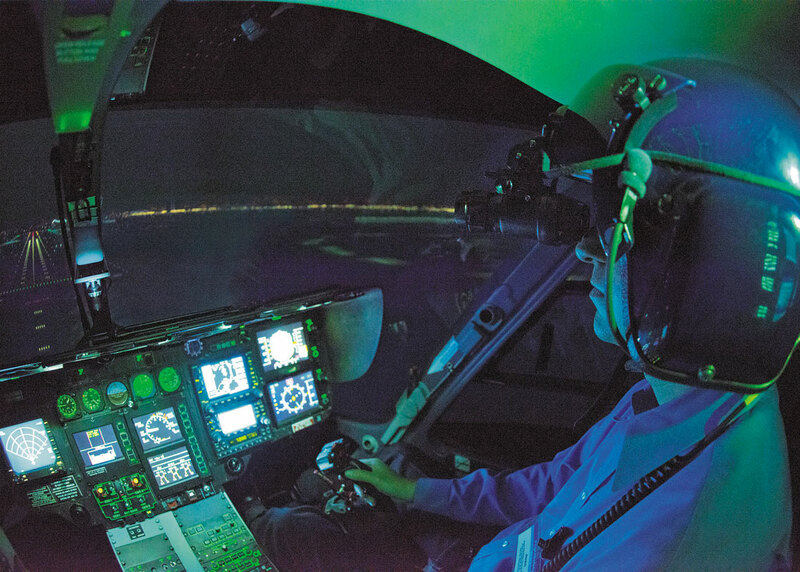 NEW YORK (February 26, 2018) – FlightSafety International now offers FAA-approved Part 142 Night Vision Goggle initial and recurrent training in simulators for helicopters built by Airbus Helicopters, Bell Helicopter and Sikorsky at its Learning Centers in Dallas, Texas; Denver, Colorado; Lafayette, Louisiana; and Stavanger, Norway. The simulators are NVG qualified by the FAA’s National Simulator Program. The qualification was received after thorough evaluation and demonstration of the simulator’s ability to accurately represent Night Vision Goggle operations. The initial training is designed to provide in-depth instruction on the equipment and focus on the efficient and effective use of the goggles through scenario based and mission specific exercises. It includes eight hours of ground school and eight hours of training in an advanced Level D qualified simulator. The recurrent course provides an extensive review of NVG operational techniques during all phases of flight. Topics include Limitations and Flight Operations; Aeromedical Factors; Normal, Abnormal, and Emergency Operation; Performance and Scene Interpretation; Flight Planning; as well as Night Interpretation and Factors Affecting Interpretation. It also covers NVG regulatory and procedural guidance FAA 61.31(k) (1).